Our reach extends beyond South Africa, into Africa with availability of mobile cranes and crane trucks in most neighboring countries. We offer long term crane truck/mobile crane hire in South Africa, complex Industrial crane hire services and factory/plant relocation’s, wine cellar refurbishments as well as short term crane hire and heavy lifting services. 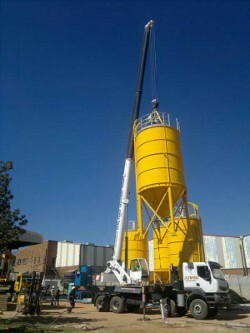 Crane Hire South Africa hire has a fleet of crane trucks, mobile cranes, specialist spider cranes, 8 ton to 220 ton cranes and crane trucks along with a fleet of 160 ton and 210 Ton knuckle boom rigging cranes and specialist rigging services to deal with any heavy lifting or relocation requirements. Our fleet of front mounted and rear mounted crane trucks includes 8 ton crane trucks to 40 Ton crane trucks in various configurations to cater for almost any requirement. We have both 4 x 4 and 8 x 4 crane trucks with specialist 8 x 8 trucks, all terrain and rough terrain crane trucks. 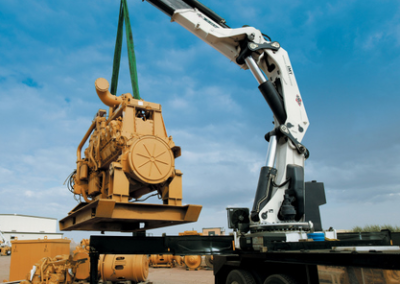 We are able to offer heavy lifting and highly technical lift capacities utilizing Mobile Cranes up to 550 Ton. Highly experienced rigging teams are available for your most complex and heavy duty lifts. 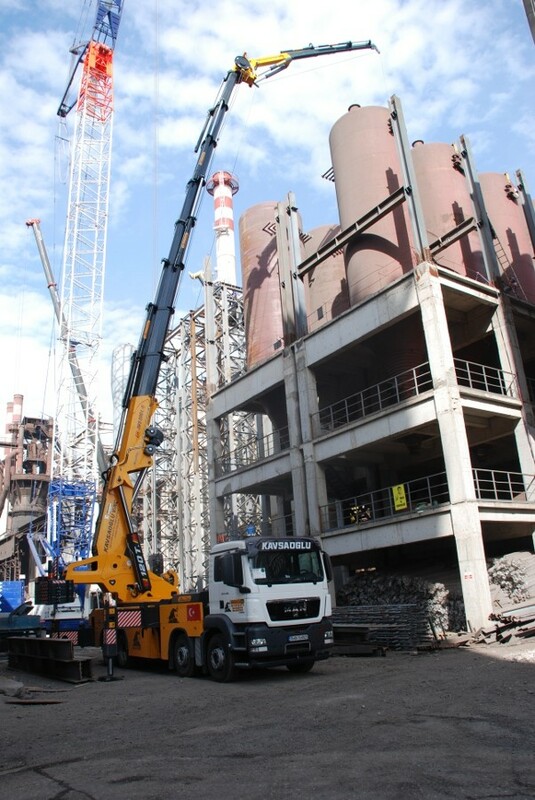 The counterweight configurations of the 220T mobile cranes enable us to offer mobile heavy lifting with a 100 Ton, 120 Ton, 130 Ton, 160 Ton, 180 Ton and 200 ton mobile crane configurations. The crane has a very long jib enabling us to achieve a height of 68 metres below hook on any lift. This flexibility, coupled with highly experienced rigging teams makes our heavy lifting combinations your peace of mind where there are highly technical lifts, long reach lifts, tandem lifts or very heavy lifts. Our management team is small and efficient resulting in very fast turn around times. If you need an urgent Crane Hire Quote, complete the Crane Hire Quote request form and we will provide you with a quote immediately. Factory relocation services has developed into one of the leading machine moving business in South Africa having moved some of South Africa’s largest factories. Factory relocation services often require very skilled riggers and fitting crews to operate in confined spaces, moving very heavy machinery. Our all terrain and rough terrain crane trucks and pipe transport trailers have seen our trucks in harsh, remote parts of South Africa, laying pipes for some of Africa’s largest pipeline contractors. 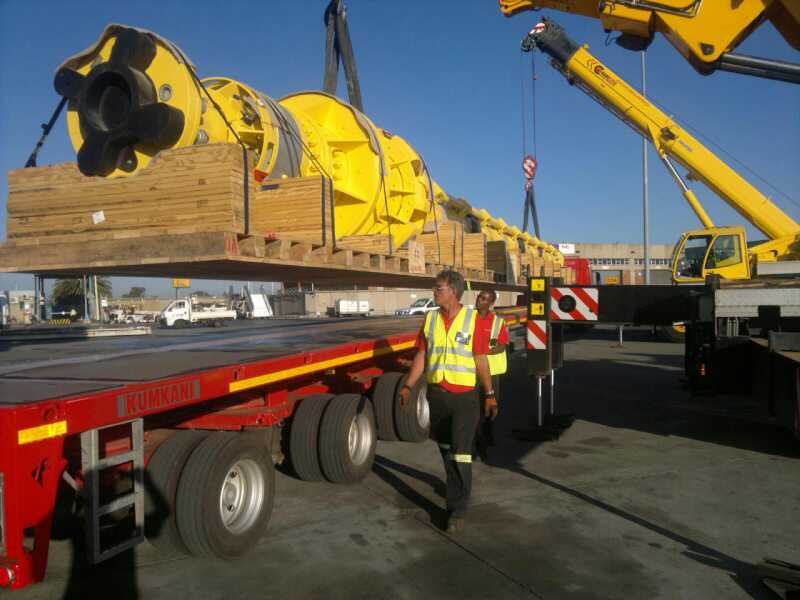 At crane hire South Africa we offer a complete turnkey service including lift, transport and offload services for anything up to a 120 ton abnormal load transport. From 18m steel pipes to aircraft engines, train engines and carriages and everything in between have been transported. We are highly experienced lifting and transport riggers and transporters. 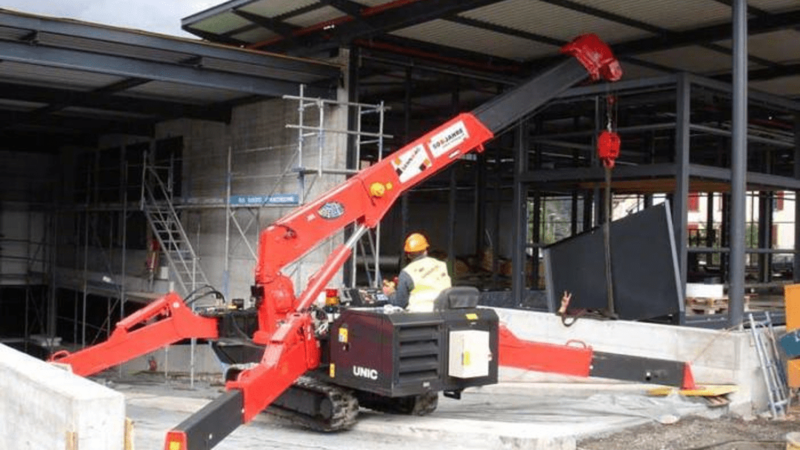 We have a 3 ton and a 6 ton spider crane which are ideal cranes for in factory repairs, new part installations or for regular maintenance of equipment where the work needs to be done inside the factory/plant. 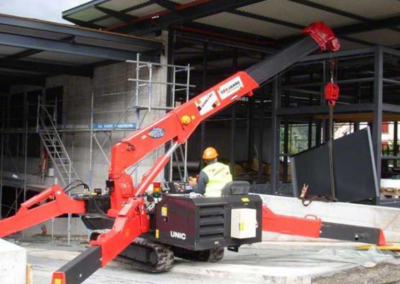 Our spider cranes are often seen on the slabs of new buildings and inside new shopping centres. One set of lifts that were particularly well received, saving the contractors large sums of money was for lifting escalators in place and doing escalator repair work inside the busy shopping mall. The versatility and maneuverability of a spider crane allows us to achieve the impossible in small spaces. Contact us to solve your lifting problems. Each crane truck, mobile crane or spider crane comes with a driver and or rigging crew. We have teams of riggers and a core group of red seal riggers for complex and heavy lifts. 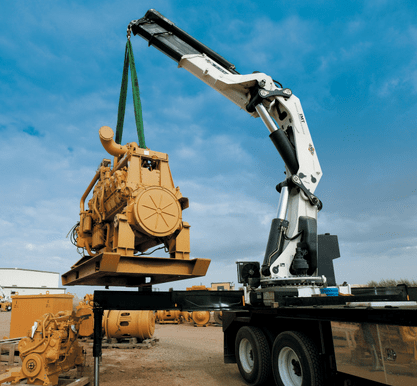 Our rigging crews are available for work on plant relocations and construction projects as an additional service and need not form part of a crane rental. Our rigging crews have worked closely with many international plant manufacturers and construction companies.